Engagement sessions are a great way to connect with your clients, but they are very different from the grueling marathon of photographing a wedding. 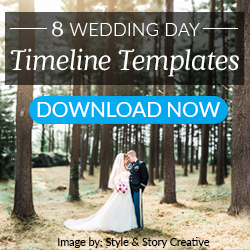 You have a lot more time than you do on the wedding day to set up poses and get to know the couple. Here at ShootDotEdit, we help wedding pros with their color correction and print sales, and we see a lot of engagement sessions each and every season. Here are 10 tips to help professional wedding photographers nail the engagement session and your engagement photo poses. Coming up with engagement photo poses that suit your couple is vital to building trust and rapport for the wedding day. In addition, you get the chance to show your skills and impress the couple, capturing images that should be a precursor for their wedding photos. And, all the while, you are getting the know the couple better, which will only serve to help you on the wedding day. 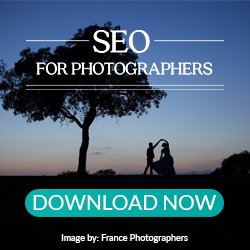 Lets look through our 10 tips for better engagement photo poses. Engagement Shoots should always follow the KISS principle – Keep It Simple – particularly when it comes to posing. Basic wedding photographer poses always help to get the best shots and help the session to flow smoothly. Pick poses that you know in advance will be flattering and comfortable to both the future bride and the groom. It can be good to have a few “go-to” poses, just in case you get in a bind. Following the Keep It Simple mantra, less is more when it comes to choosing camera gear for an engagement shoot. You don’t need to haul your whole wedding rig. Even though the engagement shoot is shorter than the wedding day, there is plenty of movement involved (which can tire you out, especially with too much gear to carry around). If planned right, one camera body (with a backup in the car!) and two or three of your favorite lenses should be enough. Since this is usually your first time working with the couple, be sure to be extra clear with posing instructions and engage in light-hearted banter. Engagement shoots can be great practice sessions before the wedding day. It allows you to get to know the couple and vice-versa. It also helps to establish trust in advance. Posing may be simple, but the shooting angles do not have to be. Make sure to always get your “safe shot” in a pose, then look for different angles before you move the couple. Think very close up and very far away for more variation. When you have a variety of angles to shoot from, your portfolio becomes more diverse, helping you attract ideal clients when you share the images. Shoot through objects and use your surroundings as props. For example, if you find yourself in a field with tall grasses and wildflowers, consider posing the couple in the grasses, then position yourself to include some out-of-focus greenery in the foreground of the image. It can help add visual interest and establish where you are location wise. When you’re still learning how to take engagement photos, focusing on the natural landscape around you will dramatically help. Engagement photo poses that incorporate the environment draw a connection between the location and the couple, creating a wonderful dynamic. For example, if you are doing beach engagement photos, weave the ocean and sand into your photos so that the images incorporate the setting. Look for the right lighting by scheduling engagement shoots during the “golden hour” – that time of day one hour after sunrise or one hour before sunset. You may not have any say over timing or lighting on the wedding day, so use the engagement session to book during your ideal shooting time. Tip: If for some reason you cannot book the engagement session during your ideal shooting time, practice new lighting techniques! From understanding how to work through harsh lighting to shooting at night, capturing the perfect light during the engagement shoot is possible in any situation. Do not immediately cancel because of inclement weather. Overcast skies or even a little sprinkle can provide interesting lighting conditions. Also, umbrellas or tucking the couple under the eaves can be fun ways to show intimacy. A popular way to showcase an engagement session is to have it printed as a guest signing book to display at the wedding. Keep that in mind during the session and look for details or angles that will add to a possible book layout. An album is something your couple can keep and show their friends and family members, keeping you top of mind in case they might need a wedding photographer. Engagement picture poses work naturally for an album, and often times, professional photographers forget to offer one to their clients. Since you’ll be shooting a variety of poses, ranging from completely posed to natural and candid, your final images will make a wonderful album. One idea: offer to make your couple a signing book that wedding guests can write in on the wedding day. Build the book with engagement pictures. Because you are showcasing two people in love and committing their lives to each other, kissing, hugging, and holding hands are all appropriate during the engagement shoot, and will make great moments. Just try to avoid anything the couple would not want to show their future grandchildren. Engagement sessions are a great way to capture beautiful portraits of people and showcase your signature style. Take moments to have fun with the couple – even if they don’t yield any images, you are building rapport with the couple. And that will pay off in big dividends on the wedding day! Creating the best poses for the bride and groom can help them relax and provide you with genuine expressions. When you can include your couple’s emotions into the engagement shoot, you will continuously create stunning photos they are sure to love! 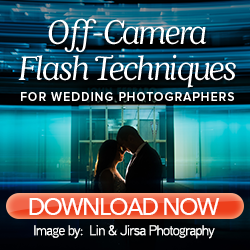 Learn more about posing your couples on the wedding day with our Pro Photographer Lighting and Posing Guide! Click on the banner below to get yours today. Every image is a masterpiece! Thanks for sharing. Very helpful. I’m getting engaged this August and this is what I was searching. You have to enjoy the day and with engagement photography, you want to be sure to capture all the best moments of your happy day. I have asked Lily Hayes Photography in Dallas to do the honor of being my photographer.